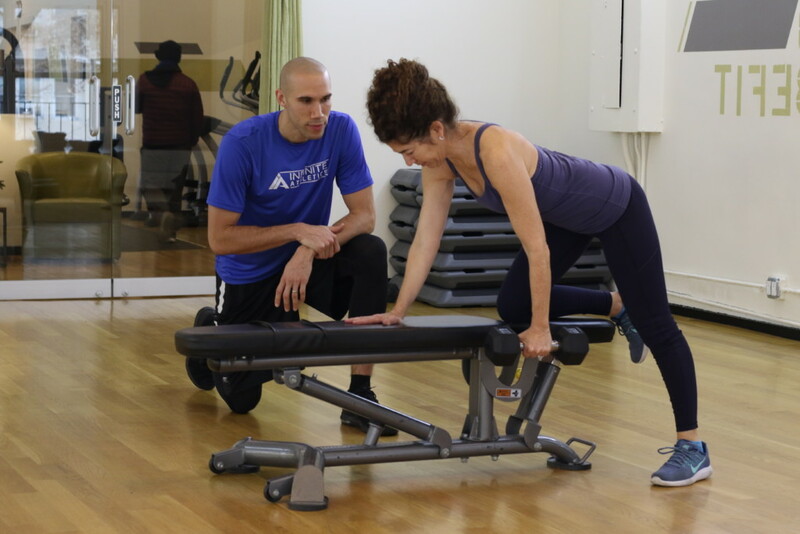 Infinite Athletics trainers have years of experience with clients of all ages, fitness levels, and schedules that are looking to get fit and feel great! We will even come RIGHT TO YOUR DOOR. Take a chance at finding someone who LISTENS to your goals and helps you achieve them. We promise, you will never look at “working out” the same way again. Don’t put off until TOMORROW, what you know you should be doing TODAY!